September marks the arrival of the two highest holy days, Rosh Hashanah (starting at sundown September 20th) and Yom Kippur (beginning at sundown September 29th). Rosh Hashanah is the day that marks the beginning of the universe. Yom Kippur is the highest holy day, also known as the 'day of atonement'. Both holidays involve beautiful rituals and plenty of good food. And of course, anywhere that a festive meal is served, flowers and/or fruit only serve to make the remembrance more enjoyable. * An all white centerpiece for the dining table. Traditionally, white linens and china grace the holiday tables and an all-white arrangement would be a wonderful finishing touch. * A fruit basket, including apples and/or pomegranates, or an all-apple basket with honey. * General gourmet gift baskets--it is against Kashrut law to allow meat (as in sausages) and dairy (as in cheese or milk chocolates) to be in the same proximity. When placing an order for Rosh Hashanah or Yom Kippur, please advise your CSR that it is for one of the High Holy Days, or if placing online, note this in the Special Instructions area of the order form. For Rosh Hashanah, all items must be delivered by sundown on September 20th. For Yom Kippur, gifts must be delivered between September 22nd to September 29th (excluding Saturday, the Sabbath) and it must arrive before sundown on the 29th. If you have any questions regarding gifts for Rash Hoshanah or Yom Kippur, contact us at 480-948-1130. Most Valley kids return to classes this month, and some parents think it's the most wonderful time of the year! Just think of how quiet the house will be...how much work you'll actually be able to get done without someone yelling, "MOM!!" Go ahead, take a deep breath. Aaaaah--oh, wait, those poor teachers! As the herds arrive en masse, we really need to let our favorite teachers know how much she/he is appreciated. A sweet fun bouquet for the desk is a wonderful 'welcome back!' gift. Succulents are still trending and are so easy to care for, with so many varieties! A fruit basket would be nice, too, especially if there was a bright shiny red apple on the top. Here are some ideas we can even deliver for you! "Congratulations on making it into the 3rd Grade!" "Welcome back to another school year! One day down, 179 more to go!! "I know you are really excited to be back to school. I'm sure it was getting pretty boring at home. You know, sleeping in and enjoying life and all that stuff..."
"May every teacher become a mentor, may every classmate become a friend, may every lesson teach and enrich. Here's to the best school year ever!" "It's the first day of school and you've already earned four A's....You're Astounding, Amazing, Awesome and Astonishing!" "If there were no schools to take the children away from home part of the time, the insane asylums would be filled with mothers." The sunflower is one of the most requested blooms by our customers. Once considered a fall flower, it is now generally available to us year-round, with supplies most plentiful from late July through late November. *The sunflower is Kansas's state flower. However, it is considered a weed by many farmers there, as it grows so fast and spreads so prolifically. *The scientific term for the sunflower is Helianthus, with 'helios' meaning sun and 'anthus' meaning plant. *There are about 70 known species. Fun Fact: All but three of the 70 species are native to North America. *Russia and Argentina grow the most sunflowers for floral and foodstuff production. *The largest field of sunflowers is located in Tuscany, Italy. *While most grow anywhere from three to nine feet tall, the tallest sunflower ever was produced in the Netherlands, at a whopping TEN FEET tall! *The width of most sunflowers falls between five to twelve inches, so could you just imagine what the world's record 32" looked like? It was grown in British Columbia. *Sunflowers love the sun, but they are also huge water consumers. When found in the wild, they are easy to spot near watery areas such as creeks, riverbeds, and the like. *While growing, sunflowers raise their heads to track the sun, however once mature, most will face east. Sunflowers are a wonderful 'face' flower, as we florists like to call it. A face flower is simply the focal flower, the star of the show, and few blooms do it with such panache as this big, bright yellow beauty. 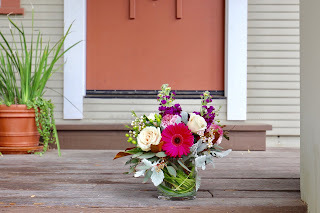 Quite versatile, it can be it can be mixed with several other colors and textures to create a beautiful bouquet, but it looks even more stunning when the entire bouquet is of sunflowers. Favorite greenery (other than good old salal, of course) is spiral eucalyptus, seeded eucalyptus, and gravalia. Accent flowers that play nicely with sunflowers include solidago or Viking daisies (which look like tiny little sunflowers!) In nature, yellow's favorite contrasting color is purple--just try pairing with bright purple statice and you'll see what we mean! And just why are we lauding the humble sunflower? Why, it's the Cactus Flower Fresh Ten special of the month! That's right, until August 31st, stop in at any one of out locations in the metro Phoenix area and pick up ten stems for just ten bucks. Shop now. *Exciting things are going on at Cactus Flower this season! We're seeing fantastic flowers in colors that range from soft pastels to bold bright hues and everything in between. If Mom loves tulips, be sure to get in on the end of the season flowers....they are usually gone by mid May and we won't see them again until late November. Lilacs and peonies, which have a very limited availability of perhaps 2 or 3 weeks out of the year, are now being offered by some of our growers. And roses, roses and more roses...they are absolutely gorgeous this time of year in shades of white, soft pink, bold oranges, bright yellows, romantic red and many unusual colors in between! * Check out our new local Mother's Day offerings...Happy Mom is chock full of bold gerbera daisies, Exotic Mom is an elegant and unusual tropical display, Superhero is a mix of wonderful colors and textures. No matter what type of mom you've got, we've certainly got a bouquet to match. *Lucky bamboo! While we receive requests for bamboo year-round, it's available in good quantities now. Traditionally sold in groupings of three, which is thought to bring happiness, long life and wealth to the recipient. It is also a common gift for housewarmings! *Beer and wine are now available for pick up or delivery out of our Scottsdale location! That's right, you can now request beer or wine added to your order. . . flowers AND wine? You'll certainly be mom's favorite this year! 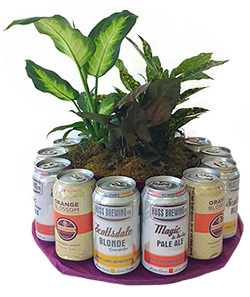 Craft beers are locally brewed at Papago or Huss Breweries, with quirky names such as 'Scottsdale Blonde' or 'Magic in the Ivy'. The wines offered take the adventurous drinker to all points of Arizona. Several Javelina Leap wines from red rock country Sedona are available, as is a fantastic wine from Caduceus Cellers in the 'ghost town' Jerome. Dos Cabezas winery is based in Sonoita, located in far southern Arizona, and Willcox's Sand Reckoner winery is located in the southeastern area of the state. Try one or try them all! With the range of floral gifts available at Cactus Flower, finding the perfect gift for mom is easy. The hard part comes when you get to the card message. How is it possible to say just what mom means to you in 30 words or less? * May all the love you give to others come back to you on this special day. * It takes a strong person to make a strong person. * For all you do and all you are, we love you. * Thanks for giving me the best things in life: Your time, your care, and your love. * Because of you, I am me. * Life doesn't come with a manual. It comes with a mother. * Always my mother, forever my friend. * God could not be everywhere and therefore he made mothers. * I want to thank you, Mother, for your patience-your encouragement-your strength-your generosity-your unswerving love and for those six little words that helped me through so many trying times-“Because I said so, that’s why." * A good mother lets her kids lick the beaters. A great mother turns off the mixer first. * Silence is golden. Unless you have kids. Then silence is suspicious. The minutia that accompanies an average prom is mind-boggling. There's the clothes, the shoes, the accessories, how to wear your hair, what color of nail polish...the list goes on and on. And somewhere on that list is one of the most confusing of all things prom-related: selecting the corsage and boutonniere! * This year's buzzwords are 'co-ordinate' and 'compliment'. Gone is the dreaded 'matchy-matchy' where a beautiful unusual color can cause extreme angst when trying to find anything that matches. One prom-goer found a spectacular ethereal dress in a minty-celery-ish green. 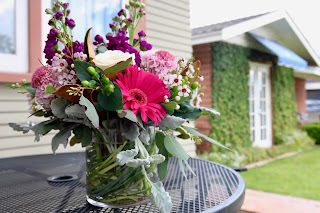 Instead of fruitlessly searching for anything to match this unusual color perfectly, she instead opted for pink roses, off white ribbon and a bit of lavender waxflower. Vintage perfection! *Order early! To avoid disappointment, order in advance. Some proms are so large and/or some weekends have so many proms that our locations can hit maximum circumstances, where we are actually unable to accept any more orders. People who order ahead of time are at a distinct advantage to those who wait until the last minute! *Some gals are like regimented sergeants and give their dates a long list of do's and don'ts for the corsage. Others leave it totally to chance. If you know her dress color, we can help put together the perfect corsage by co-ordinating the flowers and ribbon. 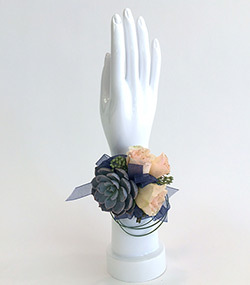 Even if you don't know what she's wearing, we can create a beautiful corsage that is certain to please. White roses and white, gold or irridescent ribbon blend beautifully with any outfit to make it look as if you've put a lot of thought into it! *Arrange the pick up on the day of the dance. Do not store flowers in the fridge!. A refrigerator normally has lower temperatures (@37 degrees to a flower cooler's optimum 43 degrees) and higher humidity than a flower cooler. Most importantly, refrigerators often contain raw fruits and vegetable that emit methane gas which can hasten the flower blooming wide open. *Do not leave wearable flowers inside a warm vehicle. 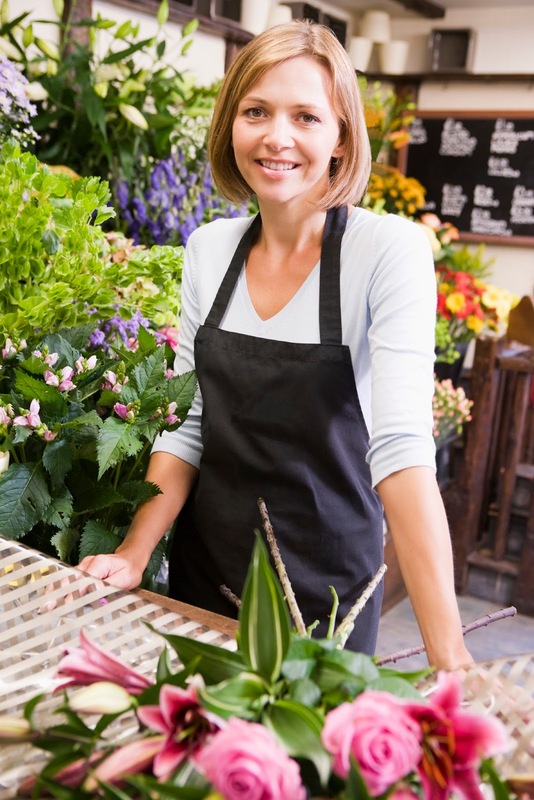 If you're running errands, take it into every store with you, or make the corsage pick-up the last stop. Keeping flowers at a nice moderate temperature (65-75) until the dance will help keep them fresh. Everyone knows when most holidays fall-- Valentine's day is February 14th, Saint Patrick's Day is March 17th. Mother's Day, the second Sunday in May. Memorial Day, the last Monday in May, Father's Day, the third Sunday in June. Independence day is, of course, July 4th. Labor Day, the first Monday in September. Halloween, October 31st. Thanksgiving, the fourth Thursday in November, and Christmas is always on the 25th of December. But what the heck is it about Easter? It never seems to fall on the same day twice, and it can come as early as March 22 and as late as April 25th. This year it falls on April 16th. But how is the date settled upon every year? Actually it is based on the lunar calendar. . . Easter will always fall on the first Sunday after the first full moon after the vernal equinox (first day of spring). Um, it seems easier to buy a calendar to find out what day it falls on! As always, our designers have put together a fun array of Easter gifts. 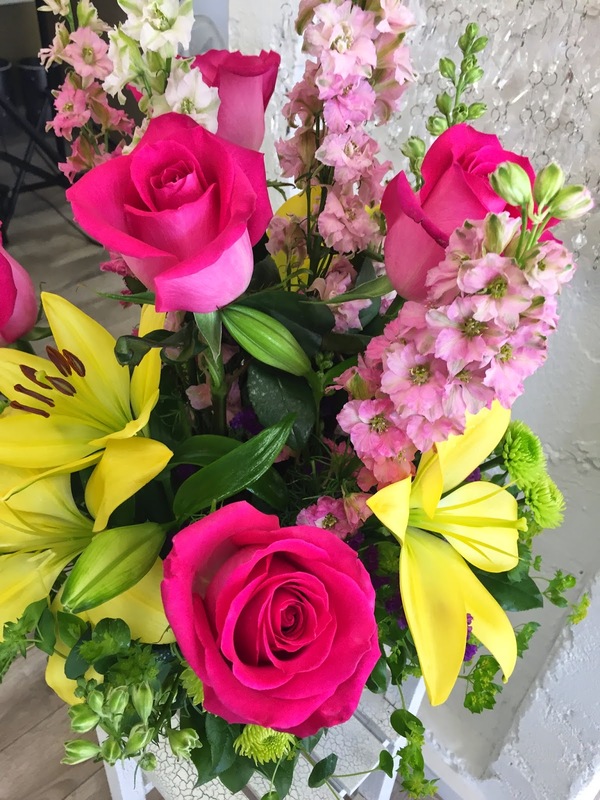 No matter which day Easter falls on, it's a sure bet Cactus Flower Florists will have a great selection of gifts available. From corsages for mom or grandma to wear to Sunday services, to beautiful potted Easter lilies, for centerpieces for the holiday dinner table, to fun baskets for kids and everything in between, we've got you covered! You can also join us for a Centerpiece class is you'd like expert instruction on making a custom arrangement. Class will be held April 13th at 5:30pm in our Scottsdale or Glendale location. Sign up here. Look at you go! You thought ahead, figured out which arrangement you wanted to send to your significant other, got all the information together for the delivery. . . you've called or stopped by your local Cactus Flower and placed your order. I mean, you're scooting along at a steady speed. . . and then we ask, "What would you like to say on the card message?" Skreeeech! "I love you so much, I couldn't wait for Valentine's day." "Couldn't wait for another day to say I love you." "You take my breath away, today and every day." "Cupid's aim is still pretty good." "Sending all my love your way." "I usually tell you that I love you a couple times a day. Today, I'll make it a dozen!" "If actions speak louder than words, this is my way of shouting." Just quote one or two romantic lines from 'your' song. The longer you've been together, the better this works, because she'll be impressed that you actually remembered! 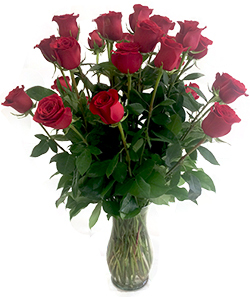 When you 'say it with flowers' you really do communicate what you mean when it comes to roses. In Victorian times, every flower had special meaning. Irises signified valor and wisdom, snapdragons were for graciousness, callas meant beauty, orchids signified refinement, and so on. While most of the secret language of flowers has faded away into obscurity, various colors of roses still hold their meanings much as they did over 100 years ago. Colors mixed together have meanings as well. Red and white together signifies unity. White and yellow together means 'peace and harmony'. Yellow and red together indicates a celebration. 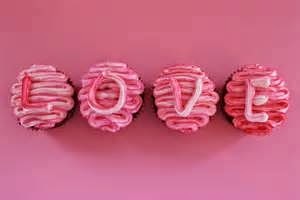 Ïn an online poll, most women prefer red roses for Valentine's Day, followed by pink, lavender, white and yellow. So whether you are a traditionalist and opt for the red, or you love the big, bright colorful varied mixes, or you create your own bouquet based on the significances listed above (such as, 24 red and orange roses mixed together would say, "I love you, I desire you and I'm yours". What woman wouldn't be wowed by that?) CactusFlowers can help pull off a Valentine's Day that will make a hero out of you.